The frame is built with strong 7/8", 16-gauge square tubing, with a 14-gauge rear seat brace. 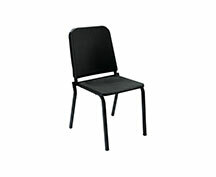 Companion Chair Dolly DY82 is chrome plated and stacks up to 18 melody chairs! 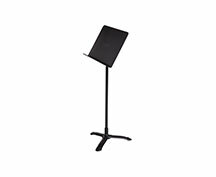 The Model #82MS Music Stand is a great addition to our music furniture series. The durable desk is made with strong 22-gauge aluminum and has rolled steel edges to protect instruments and preserve the stand. It is coated with black textured finish that resists scratches and chipping. The stand vertically adjusts to range from 24"-46" (lip to floor), using our spring loaded adjustable tube. Reading surface desk features simple tension tilt that provides smooth adjustment and strong tension at any position. The Model #FAUTH, Flex Arm Universal Tablet Holder, converts the #82MS Music Stand into a Tablet Stand for reading digital music notes. It can also be used as a Tablet Holder for many other NPS products. We now offer the complete music package!